There’s a lot of singing involved. Any long-term couple will tell you that allowing yourself to feel vulnerable around your significant other will do your relationship a lot of good. It may seem daunting at first, but doing so will eventually cultivate trust, intimacy, and connection—all essential to endure potholes and road bumps that may lie ahead of the journey. Car trips are like mini-boot camps for relationships—they strengthen your bond and help condition you to work through stressful moments. Here are some of the ~*totally*~ normal things couples admit they engage in while they're on the road. 1. You hold private concerts for each other. When you're comfortable with someone, it's hard not to randomly burst into song, especially when no one else is looking. Finding yourself unleashing those operatic meows and demonic yowls? Singing a girl band's entire repertoire? Girl, you're just warming up. 2. You bust out a few dance moves. Karate chopping the air, throwing punches everywhere—when the music is on full blast, you just have to show off your dancing skills, and no seatbelt can hold you down. 3. You contemplate the meaning of life but only when there's heavy traffic. Engaging in a serious conversation while driving down the highway is a certified couple thing. Together, you can contemplate the meaning of life, what really makes you happy, the mortality of man, why certain vegetables don’t digest well…you know, the important stuff. 4. You discover each other's hidden "talents." Being silly together is one of the tenets of a great relationship. Inside jokes, foreign accents, strange voices, non-human noises—these are all part of the couple’s code. They're not weird. They're perfectly normal. 5. You engage in subtle landian. A seatbelt won't prevent either of you from reaching out to hold each other’s hands, stroke one another’s hair, or swap smooches before red lights. In case your feelings are distracting you, a warning goes off for approaching vehicles in your blind spot so you can redirect your focus on the road. 6. You argue over directions. A lot. Getting lost together can also mean discovering hidden gems down sidestreets or coming upon a really cool café you never knew existed—who knows, some random find could just be your new thing. 7. You fight and make up on the way home. There are a number of trivial things to bicker about during a car ride: your/his driving, the stereo volume, the playlist, or the car AC. In the heat of the moment, you might lose focus of the road so an intelligent emergency brake comes in handy. But when all's been said and done, it probably won’t take long for you to kiss and make up—even if it really was your turn to choose the playlist. 8. You can never decide where to eat. “You decide!” “No, YOU decide!” It's a classic struggle—trying to figure out where and what to eat. It will haunt you for the duration of the car ride. It will test your decision-making skills and challenge your patience. It will frustrate you to no end, until one of you finally gives in and says, “Oh look, drive-thru." Car rides—and all the crazy-unforgettable antics that happen during those trips—with your S.O. become so much more meaningful when you’re driving a car that’s as safe, comfortable and dependable as your relationship. 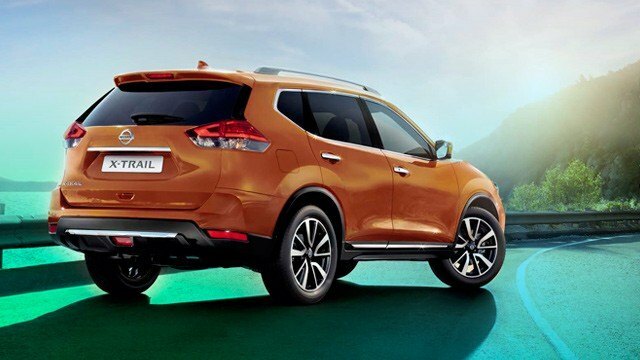 Nissan's range of automobiles is leading the way in Intelligent Mobility Technologies such as Blind Spot Warning, Forward Collision Warning with Intelligent Emergency Braking—features that may come in handy when you can’t help but be distracted with the irresistible charm of your S.O. 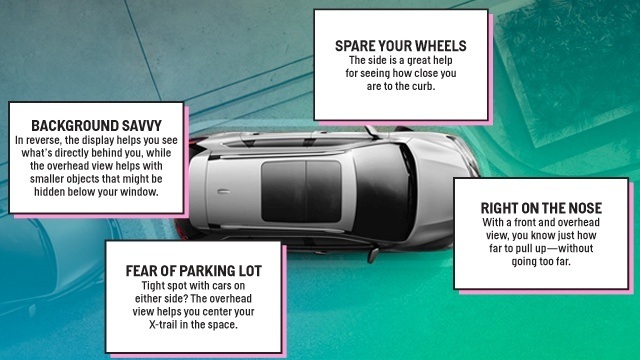 When you’re parking into tight spots or backing out in a busy street, Nissan's got you covered with their Intelligent Around View Monitor with Moving Object Detection and Rear Cross Traffic Alert. And just in case you find yourselves off the beaten track, its 4x4–I System provides stability to your vehicle, ensuring a smooth ride. It’s you and your partner against the open road—or the city’s noxious traffic—and Nissan puts you on the right track the entire way. Find out more about Nissan cars by visiting their website, and follow them on Facebook to stay up-to-date on their new car models.